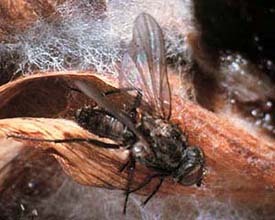 Seedcorn Maggot, Bean Seed Fly. Delia platura (previously known as Hylemya platura). 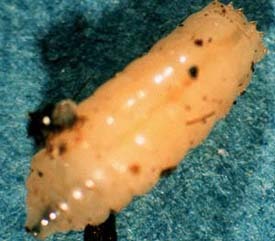 This is the larva of a small fly related to the cabbage and onion maggots, and is a pest in many countries. 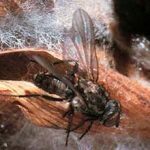 It was introduced to North America from Europe in the 1800’s and feeds on large seeds such as peas, beans and corn, and on seedlings and young shoots of many other plants. 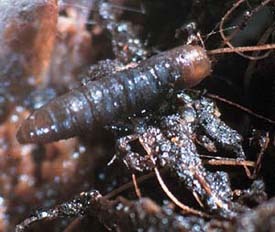 It is also considered to transmit rot organisms. 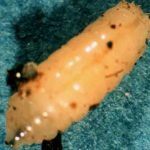 The maggot is legless, yellowish-white, about a quarter inch long, tapered to a point at the front and blunt at the rear. 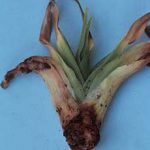 It is most damaging in weather which is cold and wet and where the soil is high in organic matter. 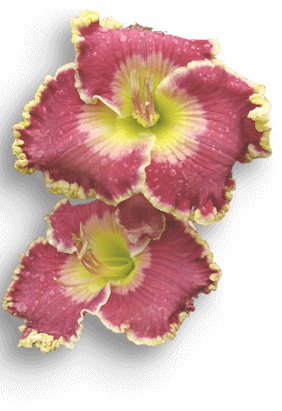 It has recently been discovered to attack daylilies, causing a rapid collapse of the affected plants. 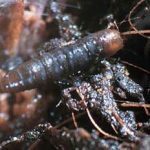 There may be several generations of maggots each year. 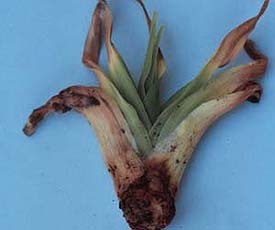 No controls are yet established for this pest in daylilies.